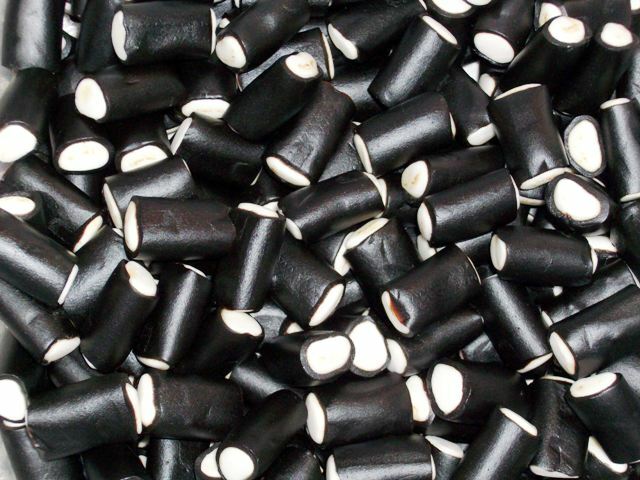 These are classic licorice tubes filled with white cream only. Very delicious! Other Rockies flavors that we carry are Chocolate Rockies, Fruit Cream Rockies, and Salmiak Rockies. Gustaf's Hot Pepper Licorice Fire Trucks - 5.29 oz.